Beer, high tides, public holidays and blood thirsty mozzies. The perfect mix to set the media into a spin. How can you get the best public health messages out about mosquito bite protection? It was almost as tricky managing the media this summer as it was the mozzies. Since late October, I’ve been interviewed on almost 50 occasions. A mix of pre-dawn calls from radio stations to live crossed to nationally broadcast breakfast televsion to taking talkback and dealing with mobile phone dropouts. It was a sweaty and stressful couple of months….and ‘mozzie season’ still isn’t over just yet. The last few years have followed a pretty similar pattern. I get my first few calls around August/September. This is usually when we get our first blast of unseasonal heat and there are typically a few stories about people noticing bugs about their home and are worried about an early start to the mozzie season. This year we genuinely did have an early start to the mozzie season. 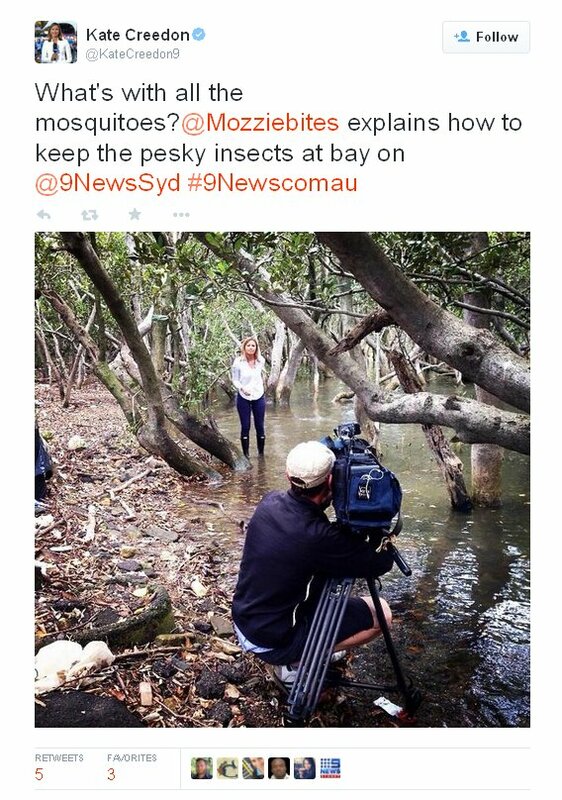 The warmest spring on record kicked off the mozzie season early and one of the first big stories I did for Channel 9 News was almost derailed by swarms of mozzies! A few of the crew needed to retreat to the safety of their car. You can listen to me speaking with ABC New Radio here. Following plenty of rain in early December, mosquito populations starting jumping up along the coast. Just in time for the Christmas holidays. 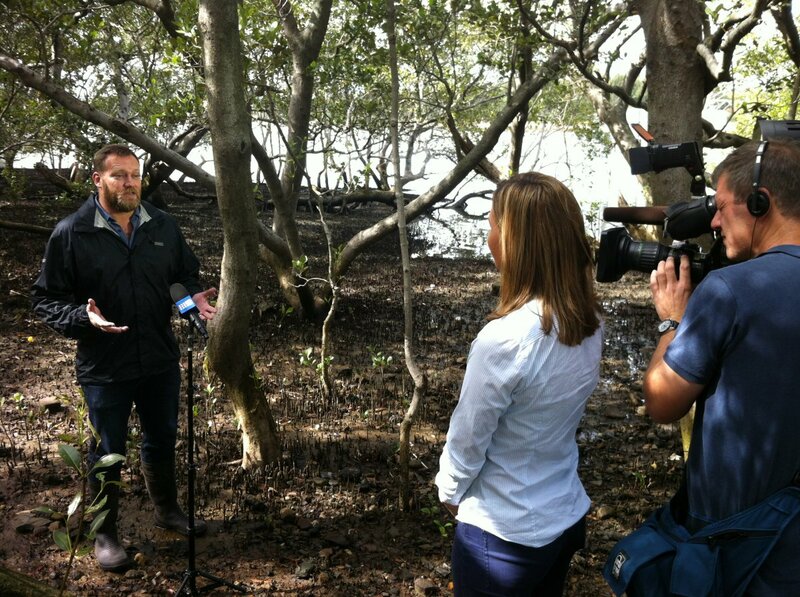 During this period it is pretty common to respond to requests from media to talk about mozzies, particularly if there have been some public health alters from local health authorities. 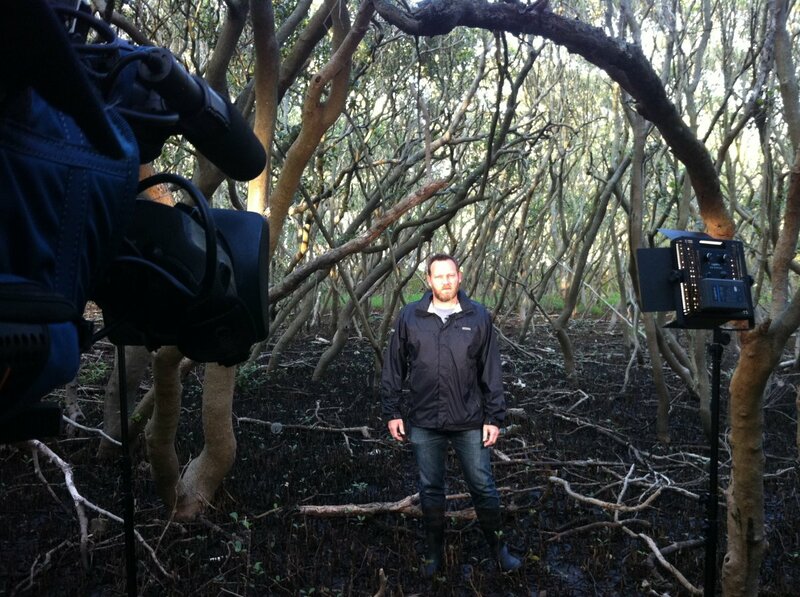 Getting ready for a live cross to Weekend Today (Channel 9) but what you cannot see in this shot is the hundreds of mosquitoes that were swarming around me, standing in the middle of the mangroves for 20min getting ready for the segment attracted plenty of mozzie attention! A few things helped keep mozzies in the news. 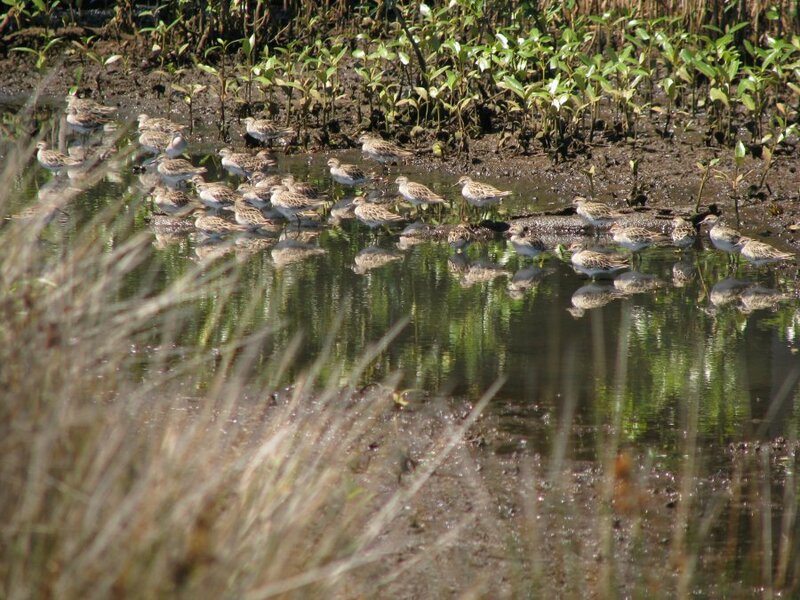 There were health warnings from local authorities after the detection of Ross River virus in southern Sydney. There were warnings about a new outbreak of dengue in Far North QLD. Flooding in central Australia also prompted warnings of outbreaks of mosquito-borne disease. Then there was this piece I wrote on why mosquitoes bite some people more than others that attracted plenty of attention too….over 1.2 million readers in fact (thanks to republication by IFLS, SBS and Mamamia)! As we headed towards our national holiday weekend and Australia Day celebrations, there were warnings that a big boost in mosquito populations were on their way. 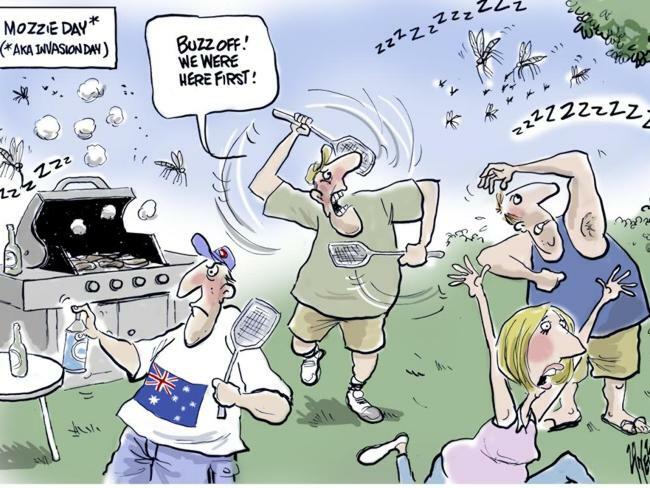 Yes, “mozziegeddon” was coming and the pesky little biters were set to turn our long weekend into a “moztralia day bloodbath“. 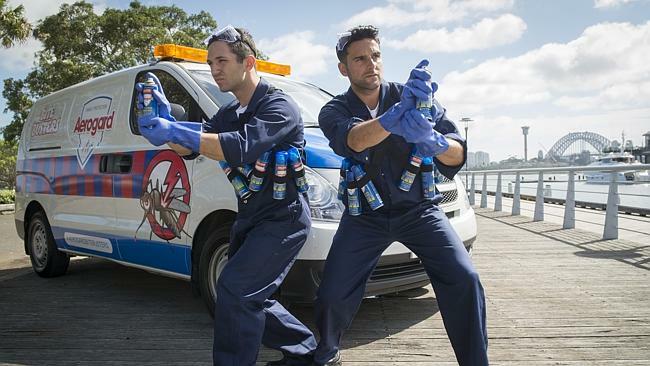 Worse still, those taking part in the traditional Australia Day past time of beer drinking were being scared off the booze by fears of becoming “mozzie magnets“. There is little surprise that stories about beer drinking and mozzies attract plenty of attention. It does almost every year. However, this year was a little different because health authorities were concerned about potential increases in mosquito populations and given recent detections of mosquito-borne pathogens such as Ross River virus, there was concern about public health risks. Those risks range from both the north coast of NSW to north-west of WA! 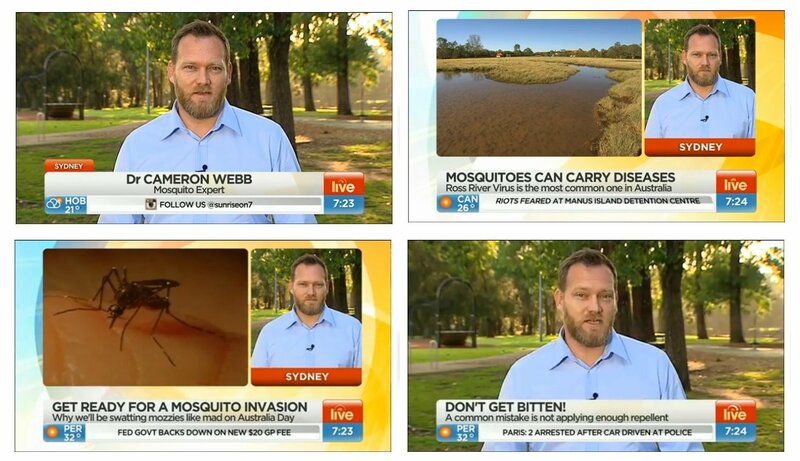 There was plenty of mosquito media coverage from SE QLD too. Local authorities were battling big mosquito populations and trying to control “3000 known mosquito breeding sites” the next generation of mosquitoes hatching following heavy rain and tidal flooding of local wetlands. Local insect repellent manufacturers were also taking advantage of the boost in mosquito numbers. I’ve noticed an increase in tv and radio ads spruiking mosquito repellents and Aerogard also sent out “swat” teams to local parklands around Sydney on Australia Day promoting their “Mozzie Index“* website! How could this media interest help spread the word on effectively stopping mosquito bites? It can be tricky getting good public health messages out during these very brief interviews, particularly for television. Radio can be pretty good as there is often plenty of time to get the message out (sometimes even time for talk back callers and questions) but for some of the commercial stations, time can be brief. Television is particularly challenging, I usually spend more time in the make up chair than being interviewed! This summer I’ve been determined to ensure some key messages get out, particularly about choosing and using insect repellents most effectively. This is an issue I feel strongly about and I have an article coming out shortly in the Medical Journal of Australia on how local health authorities can do this a little better. The two key messages were “if you’re using botanical based topical repellents, they need to be reapplied more frequently than the recommended DEET and picaridin based repellents” and “when using repellents, they must be applied as a thin coat over all exposed skin to get the best protection, not a dab here and there”. Overall, I think I managed to get these two points into most radio and television interviews and I was happy to see that the general message got through in a lot of the print/online media too. Below are some of my tips on getting a specific message out while dealing with the media. 1. Prepare. You would practice giving a conference presentation ahead of time so why not prepare for media? Think about the messages and how you can deliver them. What questions might you get asked? What will be the style of the presenter? Are there any questions you may be asked that you may want to avoid answering (e.g. questions of a political nature or something that could embarrass your employer)? How can you do that? 2. Learn from the professionals. If know you’re going to do some media in the coming weeks or months. Spend some time listening to talk back radio and reading newspapers. Take note of the number and length of quotes journalists use in articles. Make their job a little easier by providing concise quotes where possible. How do radio broadcasters conduct interviews? Listen to politicians and journalists being interviewed. How do they get their message across (or don’t in some circumstances). What makes you “switch off” from an interview – is it the topic or interviewee? 3. Create bridges between questions and your message. This is the thing I’ve found quick tricky but once you’ve got the hang of it, you can more effectively get the message out. There may not be a question asked that specifically relates to the message you need to get out. Learn how to transition from a brief response to the question asked onto the key messages you want to get out there. Don’t just launch off into your spiel at first chance, it is important to engage with presenter too, its a subtle art but like all things, it is only hard before it becomes easy. 4. Post-interview review. I’ll often take notes after an interview that help prepare for the next one. Things like the type of questions asked or how I answered questions, particularly if I feel my responses were clunky or I rambled a little! I’ve always found it interesting that slight differences in the way that questions are asked can often throw you off balance in an interview. If there are talkback callers, what questions were asked, especially if there was something out of left field! Making a note of these can help when preparing for the next batch of media. 5. Keep track of media activity. You never know when it may come in handy when applying for a promotion, grant or new job. I try to keep track of all media activities by recording the date, journalist, media outlet and brief description of topic. You can also speak to your local media and communications unit to see if they gather statistics on these things too. The team at the University of Sydney are great and it is fascinating to compare the analysis of different media activities, their reach and estimated value. 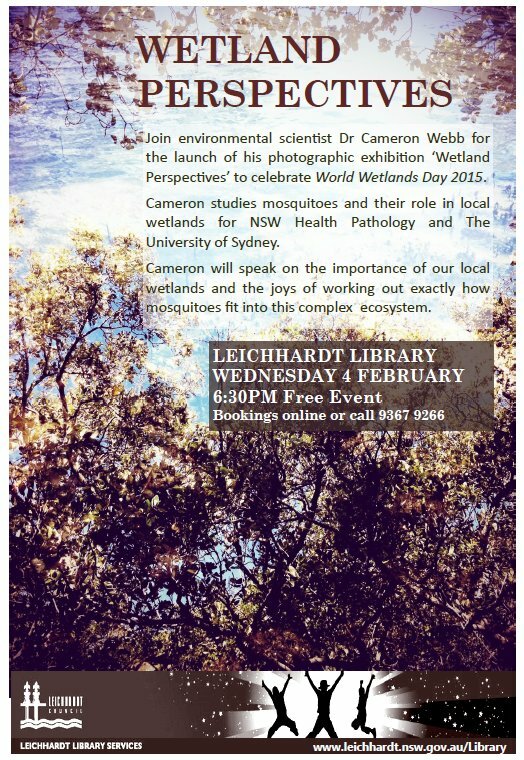 [update 21 March 2015] Following the detection of Ross River virus amongst mosquitoes collected in NSW combined with a dramatic increase in human notifications of Ross River virus disease, there was another wave of interest by local media. You read a piece at the Sydney Morning Herald and watch a segment with me from Nine News. Why not join the conversation on Twitter? *A disclaimer: I provided some assistance to a local PR company back in 2012 that developed the “Mozzie Index” for Aerogard, particularly some info on the associations between mosquitoes and local environmental conditions.